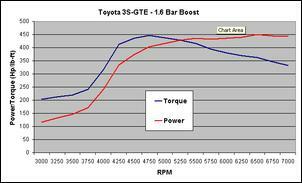 Extracting over 450hp (336kW) from Toyota's unloved 3S-GTE! We've seen 450 horsepower (336kW) being squeezed out of Subaru EJ20s and Nissan SR20DETs many a time - in fact, with the plethora of aftermarket bits available for them, 450hp almost falls into the 'so what?' basket. The Toyota 3S-GTE, on the other hand, has never been locally pushed to such limits - but it has now! 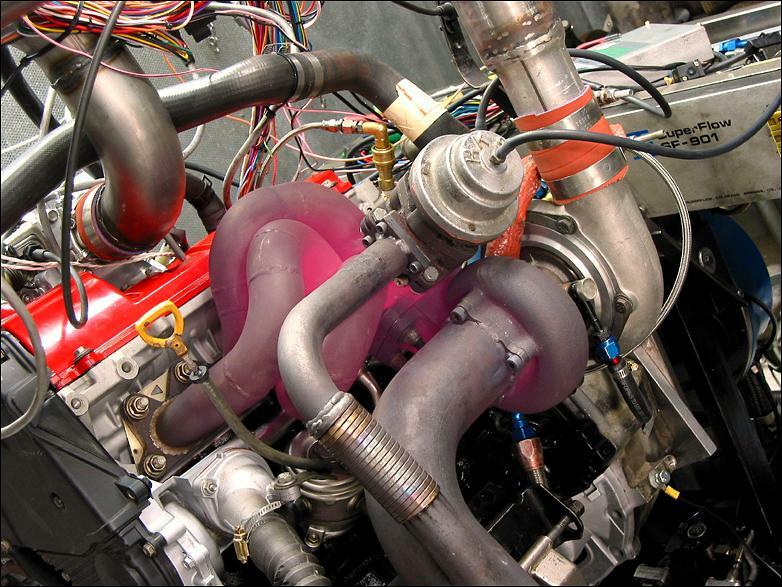 For those unaware of this relatively unpopular engine, the 3S-GTE is a turbocharged version of the late '80s-early '90s Celica/MR2 3S-GE atmo engine. It displaces 2.0-litres with a 86mm bore and stoke, runs a Yamaha developed DOHC, 16-valve head, 8.1:1 static compression and, in standard form, a twin-entry turbocharger blowing through an air-to-air intercooler. In its Australian-delivered guise, the 3S-GTE is rated with 205hp (153kW) at 6000 rpm and 207lb-ft (281Nm) at 3200 rpm - about line-ball with its competition. More than doubling the 3S-GTE's factory power output calls for more than just bolt-on glory - and especially for the intended application of this engine. This particular 3S-GTE has been built to handle the tortures of off-road buggy racing in central Australia - one of the toughest environments you can imagine. The platform for this 450hp monster is another enthusiast's aborted project. The previous owner had ventured to create the ultimate street motor for his Celica GT4, but things went sour when the engine fired in anger on the dyno. We're told the ring gaps were set much too close, causing damage to the block. The task of engine assembly landed in the lap of Shane Wilson (of Shane Wilson Race Engines, Mount Gambier South Australia). 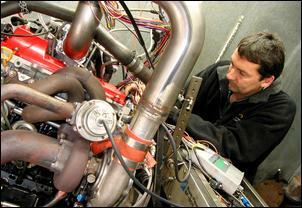 Having previously done a bit of work with 3S-GTE engines in the past, Shane already knew his way around the engine. It seems it's not a half bad thing, either - "it's got a tough looking crank, it's compact and the overall design is beautiful," Shane says. Step Number One was to bore the damaged block by 50-thou and treat it to some tickling in the area of the oil galleries. 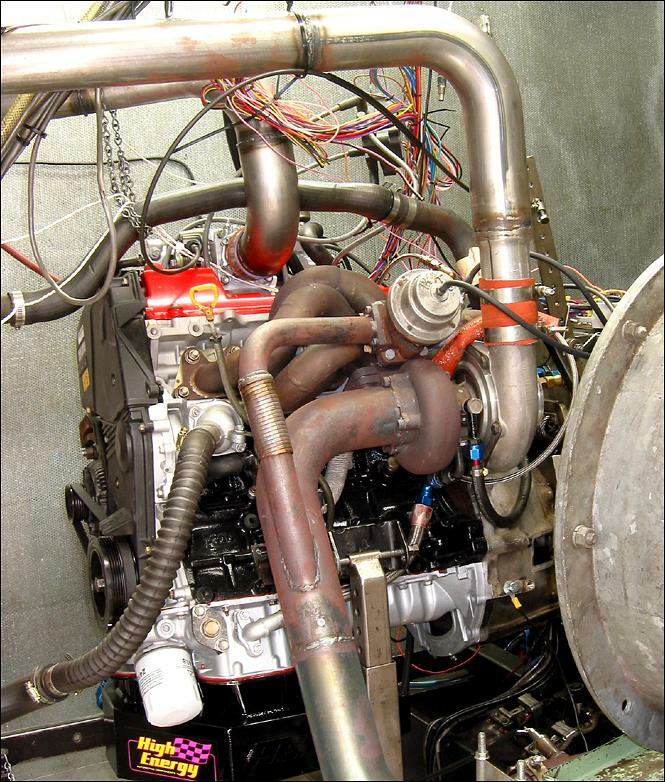 Next, the newly machined bores were fed with Argo H-beam conrods (the ones used in the previous build) and new American-made CP dished pistons, which provide a 8.0:1 static compression ratio - just 0.1 lower than standard. As testament to the fortitude of the 3S motor, the standard steel crankshaft remains in service - though a sturdy American-made steel girdle now supports the main bearings. 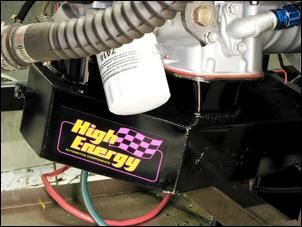 Way down low, you'll find a custom Hi-Energy sump holding a huge 13 litres of oil. Shane tells us the torque converter used in the buggy's transmission draws oil from the engine sump - which explains why it's such a big 'un. The standard oil pump is used, but now with billet gears that offer more durability. Torque'd down onto a competition WRC-spec three-layer steel head gasket is the 16-valve 'G-series' Yamaha head, which has been improved for airflow and high-rpm durability. A die grinder opened out a few daggy areas in the ports, and the bare head was assembled with uprated Isky valve springs, custom retainers and standard diameter stainless steel valves (carried over from the first build). 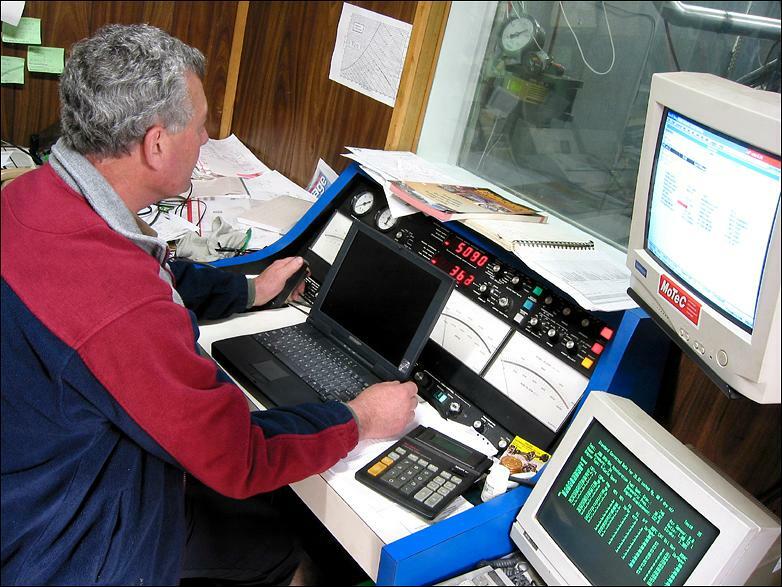 The camshafts Shane selected are reground items delivering 220 degrees duration at 50-thou and 420-thou total lift - he describes them as "reasonably mild." Oh, and the cam wheels are indexed (but not vernier adjustable) TRD items. Feeding the intake side of the head is the standard (single runner) manifold, which has been carefully matchported. 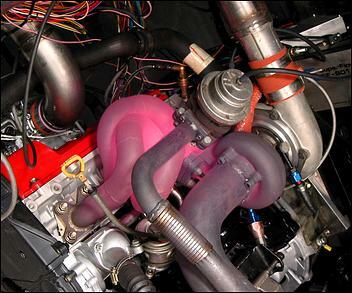 Airflow into the plenum is via an overbored throttle body with a larger diameter buttery stuffed inside. Shane comments the gains in this area probably aren't very substantial. There was no point throwing out the quality turbo hardware that came in that big box of bits. Recognising they're still perfectly adequate for their new role, the Phil Lemm fabricated tubular manifold and HKS external wastegate are carried over from the initial build. The turbocharger is a little different to the previous attempt, though - it's now a Garrett GT30 roller-bearing job, which has a relatively small exhaust wheel and housing. Shane explains that throttle response and a good spread of torque are essential, since the buggy has only four forward gears. 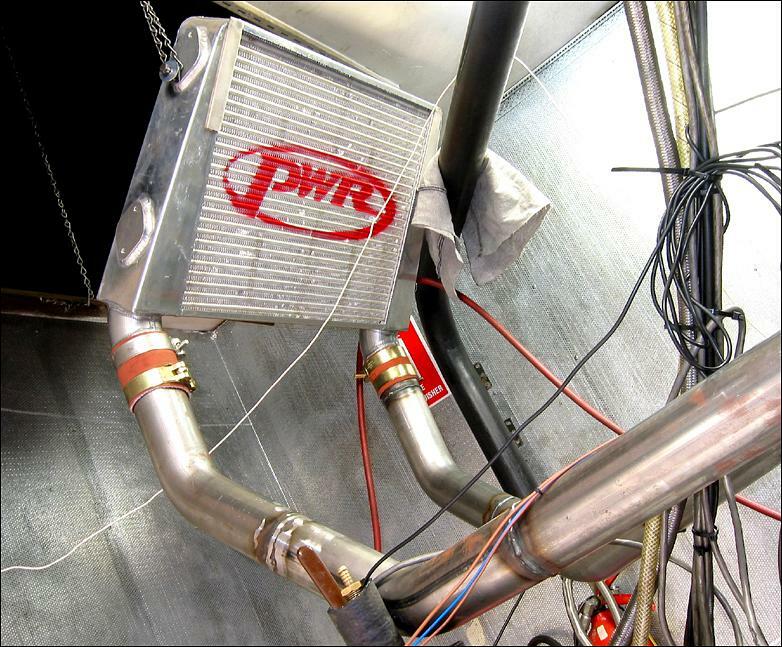 Given that boost pressure may reach 1.8 - 2.0 Bar for prologue (qualifying) and the high ambient temperatures encountered, the intercooling department is certainly complete with a humungous PWR bar-and-plate air-to-air core, which is seen here positioned for maximum airflow inside the dyno cell. Note that - at present - there's no blow-off valve on the 3-inch pipes to or from the intercooler, but Shane tells us one will definitely be fitted before the engine sees competition. The task of controlling fuel injection quantity, ignition timing and boost control is left to an Autronic SM2 programmable ECU. The SM2 is an upmarket version of the popular SMC, providing anti-lag facility, extra outputs and more extensive data logging. 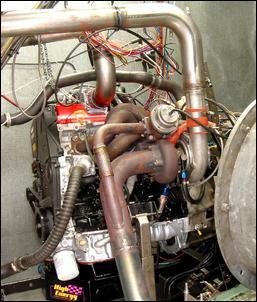 Shane has programmed the computer to deliver an air-fuel ratio of 0.84 Lambda (12.3:1 AFR) at maximum load along with 10 - 13 degrees of ignition timing through the top-end - depending on boost pressure. The rev limit is set at 7500 rpm - not much more than the standard Toyota ECU. The fuelling system comprises a high-flow "hot rod" set of Nippondenso injectors connected to the standard rail and - as seen here on the dyno - a stockie fuel pressure regulator. We're told an adjustable SX regulator will be fitted when the engine goes into the buggy; being remote locatable, the SX reg is much easier to access. 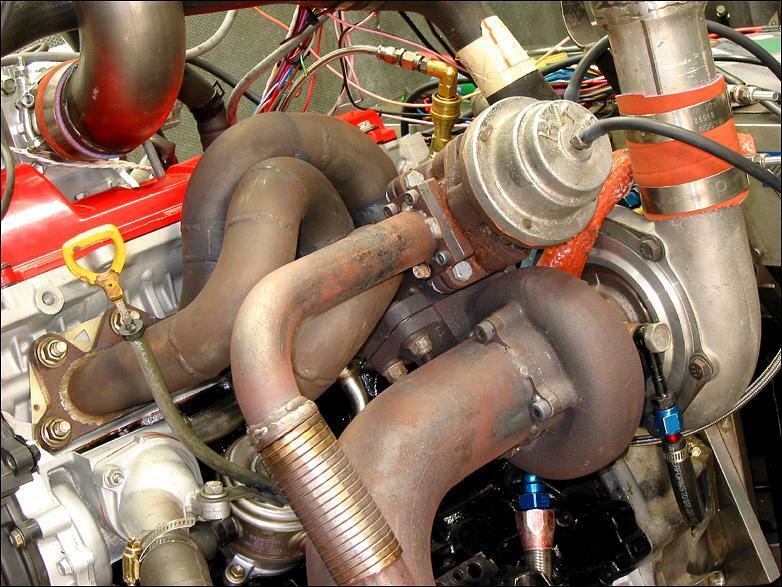 A 600hp Bosch Motorsport pump provides the huge flow of fuel necessary. The ignition side of things is quite interesting. Shane opted for a MY00 Subaru Impreza STi coil pack, which incorporates its own igniter modules - unlike, we're told, the normal MY97-99 WRX 'top-mount' coil pack. Shane enthused about how well STi coil pack performs saying, "I'll definitely be using them again in future projects." 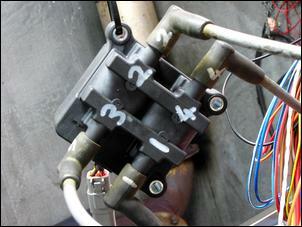 Inside the standard distributor housing you'll find a Magna Hall-effect pick-up. Spark plugs are NGK R5671A-8s - apparently a few ranges colder than standard, and set with a 22-thou gap. 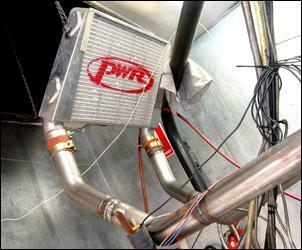 Strapped to the engine dyno at Bill Hanson's Engine Developments, the 3S-GTE easily exceeded the owner's goal of over 360 horsepower (around 270kW). With boost set to a 'conservative' 1.6 Bar, the monster generated a substantial 450hp (336kW) at 6500 rpm. As you can see, torque absolutely skyrockets as boost pressure hits between 3750 and 4250 rpm, with a heady 446lb-ft (607Nm) maximum achieved at 4750 rpm. From thereon, torque holds relatively strong, creating a 400-450hp (299- 336kW) plateau all the way to 7000 rpm. 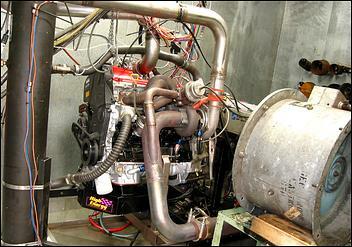 Put simply - between about 4750 and 7000, this engine is an absolute ball-tearer! With boost pressure screwed up to 2.0 Bar Shane says there's no reason 500hp (373kW) shouldn't be on the cards. 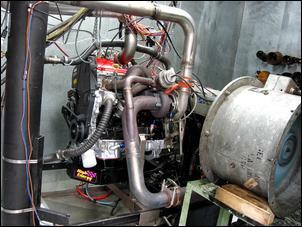 Oh, and if you think all this is impressive, bear in mind it's being done on plain ol' 98RON Synergy 8000 premium unleaded! Straight outa the pump. And what about the potential for more than 500hp, you ask? Well, Shane reckons with a bit of camshaft revision, a lower static compression ratio and more boost there's quite a lot more power to be found. "It all comes down to the size of your balls..."